Cabinets of the Desert has a deep understanding of the need for a fully responsive cabinetry company. Before changing our focus to providing and installing high quality cabinetry, we were ourselves successful builders and remodelers. We built some of the Desert’s most energy efficient homes and completed many well regarded remodels at various communities, including Palm Valley Country Club, The Lakes Country Club, Rancho Santana, Chaparral, Mission Hills Country Club, and Whitehawk. 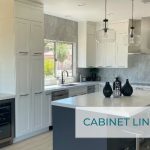 Cabinets of the Desert works closely with a talented, experienced and CMKBD® Certified Master Kitchen and Bath Designer, who produces all of our cabinetry layout and working drawings. Cabinets of the Desert partners with Desert Home and Remodel for Luxury Home and Kitchen Remodels.